About the Author: Carlos Aguirre Rodriquez is a BridgeEnglish Denver student from Chile who first started attending the language center in March, 2015. Although he began studying in the Academic English Program, he is now enrolled in the General English Program. With a goal of becoming an English Teacher, he plans to perfect his English skills at the language center. After he studies at BridgeEnglish, he hopes to continue his studies in Holland. As an ongoing assignment in the General English Program, Carlos investigates places in Denver and then writes about them in blog posts. Called the ‘Live and Learn Project,’ BridgeEnglish students write about their experiences to share with future students. 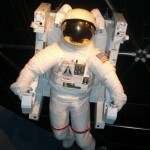 This is Carlos’ blog post about his first visit to the Denver Museum of Nature & Science. Read about what he thinks about the museum and the different types of exhibits the Denver Museum of Nature and Science offers! When you think of museums, what comes to mind? For those who immediately associate museums with boredom and think they are the last place they would like to visit, I say forget that impression and go visit the Museum of Nature and Science with an open mind. In my case, I did not expect to see such a variety of interesting things, but when I went to the museum I was completely wrong! I was surprised at how many great exhibits and features there were as soon as I entered the museum. To start-off my visit, I went to see the Space Odyssey exhibit. I was very enthusiastic to see this, but ironically, it did not even amaze me the most. The best parts of this exhibit were the fragments of meteorites from Mars, a piece of the Moon, and a big meteorite called “Canyon Diablo Iron Meteorite.” Of course there is more to see in this section, but I will let you discover what other incredible things you can find for yourself. 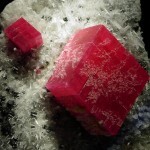 Once I finished viewing the space exhibit, I moved on to the Gems and Minerals Exhibit. I did not think it was going to be as incredible as the other exhibits, but again, I was completely wrong. Following the replicated mineshaft in the entrance of Exhibit, you will see an actual part of a Mexican silver mine. Doesn’t that sound incredible? For a moment, I felt as if I was no longer in the museum, but in a real mine. I have to admit that it motivated me to keep going and see what else was waiting. As I went further inside, it was very dark so many different glowing gems and minerals could be seen. There are some unique items, so keep your eyes open! To finish my visit, I went to the Wildlife Exhibit. 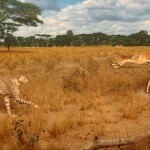 Here, you can see beautiful and marvelous dioramas from all around the world. It is wonderful to stand in front of them. You can appreciate a specific scene and see the environment where the animals live in detail. Also, I highly recommend that you pay attention to the paintings in the background of the dioramas, as they are very beautiful as well. esl-blog Denver tourism, English student, General English Program, Museum. permalink.